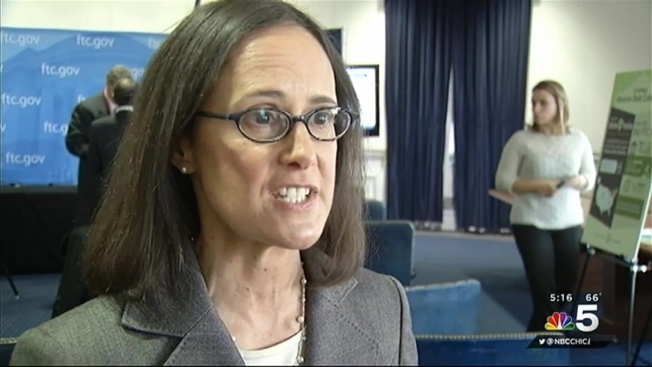 Illinois Attorney General Lisa Madigan and the Federal Trade Commission announced a joint crackdown on deceptive and abusive debt collectors today in Washington, D.C. The initiative, called Operation Collection Protection, is the first of its kind between federal and state agencies. Topping the list of offenders, Aurora-based debt collectors Chantelle and Charles Dickey, who NBC 5 Investigates first reported on a year ago. Under a settlement with Madigan and the FTC, the couple, who run K.I.P. LLC, have agreed to a $6.4 million judgment and their business has now been shut down. A year ago this month, NBC5 Investigates first revealed the complaints that came in from across the country, painting an alarming picture: a debt collection agency that would stop at nothing to threaten consumers and shake them down for debts that were inflated or invented. The alleged misdeeds were exposed by a former employee who outlined threats she said her co-workers were told to use. “A lot of people were threatened with incarceration. You’re going to jail, your kids are going to be taken away,” the whistleblower recalled. The insider also alleged the debts being chased were more often than not bogus. “There’s absolutely nothing that can be done to these people. Maybe by someone they actually owe, but not us, “ the former employee said. In April, the Dickey’s were charged with threatening and intimidating consumers to pay debts they either did not owe, or did not owe to the defendants. According to the complaint, many consumers paid because they wanted to end the harassment. “Many people who owed nothing paid up just to get these people to go away,” Madigan said. As of today, 115 actions have been taken so far this year by more than 70 law enforcement partners in the Operation Collection Protection initiative. NBC 5 Investigates was not able to get a response from Chantelle Dickey, who has refused all of our questions since we started reporting on the business.